Fire departments responded to a fire at an oil and gas site near the intersection of Weld County Road 30 and Weld County Road 47 ½ shortly after 2 p.m. Wednesday. WELD COUNTY, Colo. – Fire departments responded to a fire at an oil and gas site near the intersection of Weld County Road 30 and Weld County Road 47 ½ shortly before 2 p.m. Wednesday. Air Tracker 7 shot video over the fire, which is located east of Milton Reservoir and northwest of Tampa. Platteville-Gilcrest Fire Protection District spokesperson Jolene Schneider said there were no injuries reported in the fire and all site personnel were accounted for as of 2:40 p.m. She said the fire started around 1:45 p.m.
Schneider said that emergency phone alerts were sent out to all people within a 1-mile radius of the fire to evacuate. 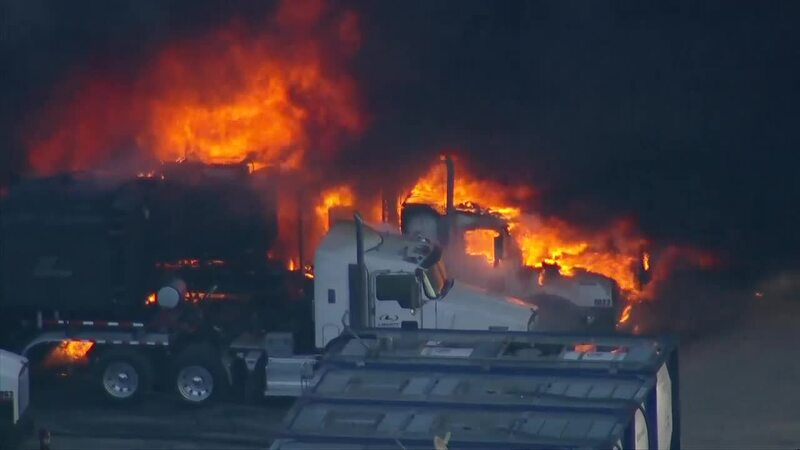 She said that about 3,000 gallons of diesel fuel was burning, with the potential for 15,000 gallons to burn. Schneider said the site is owned by Noble Energy. 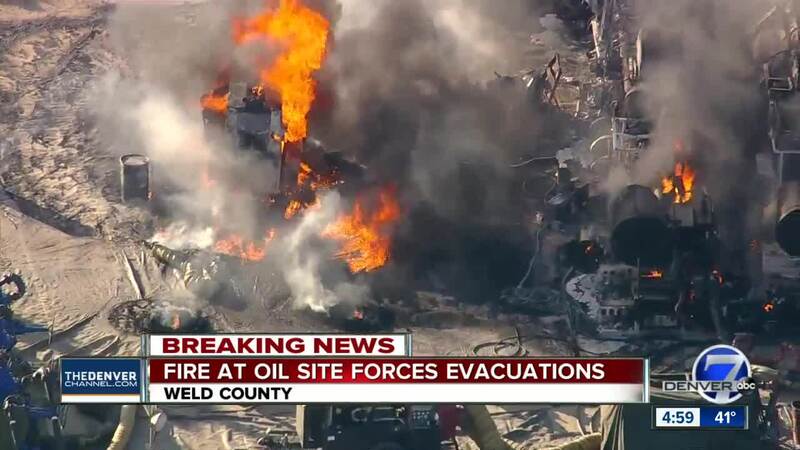 Noble Energy spokesperson Paula Beasley said the fire burned equipment operated by Liberty Oilfield Services and started while "performing completion operations on a well at a rural Noble Energy location in Weld County." A well goes through the “completion” process after it has been drilled in order to get the well ready for production, according to DrillingInfo. Beasley said there were no producing wells at the site and that the area was secure. She said the Colorado Oil and Gas Conservation Commission had been notified. A Weld County Sheriff's Office spokesperson said around 4:15 p.m. that the fire was out and said more information would be forthcoming later Wednesday.